KIRSTY DINWOODIE is running the Edinburgh Marathon on Sunday 26th May in memory of her dad, Neil, who died suddenly in May last year. Neil Dinwoodie suffered his first cardiac arrest in 2004 whilst playing 5-a-side football. After having no pulse for almost 20 minutes he was saved by his friends who performed CPR and then by the NHS staff who kept him in an induced coma for three days and inserted three stents. “We considered ourselves very lucky that day, and anyone who knew my dad knew how seriously he took his health.” Kirsty said. Neil was a retired firefighter, so had always been fit and healthy. 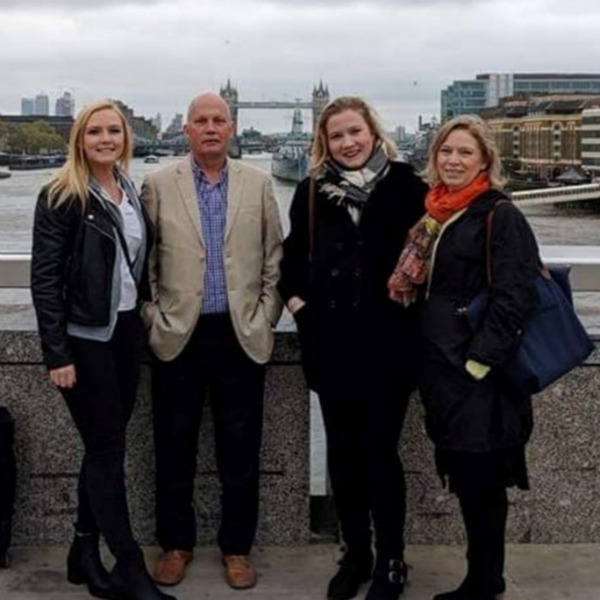 Unfortunately, two days after returning home from London to celebrate his other daughter Emma’s 25th birthday, Neil had another cardiac arrest and died suddenly, and peacefully, at his home on the 2nd of May 2018. He was later diagnosed with ischemic heart disease. In August 2018, Kirsty left to go travelling, something she had already had planned previous to her father’s passing. “It made no sense not to go, and wouldn’t have been what my dad would have wanted me to do. So off I went, and it gave me a lot of time to think and process. “It was whilst I was on the other side of the world that I got to thinking that I had to find some sort of good from such a horrible situation. My dad was such a healthy and active man (if he hadn’t have been then we might have lost him 14 years earlier than we did), and it got me thinking of entering the Edinburgh Marathon in his memory.” said Kirsty. The British Heart Foundation has helped to halve the number of people dying from heart and circulatory disease in the UK but sadly every day, hundreds of people lose their lives. It’s only thanks to supporters that the BHF can create new treatments and discover new cures. There are still entries available for the Edinburgh Marathon Festival on Saturday 25th and Sunday 26th May. 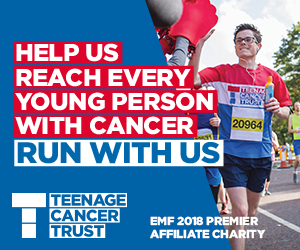 Entries are filling up fast, with the marathon, junior 2K and 1.5K events already sold out – remaining events are expected to reach capacity in the next few weeks.